Connect with NSB Radio listeners, DJs, producers and other music enthusiasts in our chat room. Access our chat room from dedicated apps for your phone or computer, or access from any web browser. Having trouble logging in to chat? The NSB chat community has existed for over 10 years - creating friends, relationships, collaborations and even marriages along the way. This is the next phase of our chat room - a new chat room platform that is designed to make chatting easier from anywhere. Our new chat room has certain limits on membership, so to ensure memberships are not wasted or abused, we need to verify and screen each member who wants to join. The simplest and quickest way to get verified is making a donation to NSB Radio. This shows us you are not a fake person, and also prevents (or at least penalises) abusers who want to setup many fake accounts. It also goes to the upkeep and improvement of NSB - thank you for your support! Donations start from just $1. NSB is a non-profit making community, running no adverts, with no other income apart from donations by listeners and DJs. Your donation lets us invest in technology so our DJs can play higher quality music and make all of their shows available for download. When you donate to NSB you get automatically verified to join our chat room. All you need to do is select the amount you want to donate, then enter your email and pay. We'll send an invite instantly to your email. Once you've donated, check your email for further instructions. If you don't get your invite, check your spam folder and then read our help section. Free accounts are limited. We manually check all applications - this can take some time (up to 7 days). If you want instant access to NSB chat, please donate above. Tell us about yourself - are you a DJ, listener, what's your favourite show? If you are using a free email address like Outlook, Gmail, Hotmail or Mail.Ru please include at least ONE of the following: Mixcloud, Soundcloud, Facebook, Twitter or Instagram profile links, NSB Forum username, old IRC nick name. Get a referral - ask an NSB DJ or existing chat member to vouch for you, we'll ask them to verify your access. Manual approval can take up to 7 days to process. Once approved by our team, you will receive an email invitation from Slack.com. If you haven't had an invite in 7 days, make sure to check your spam folder. NSB uses Slack as its chat room platform. This is a commercial chat program that allows for instant chatting over multiple devices. It was originally built on IRC - which is how we ran the NSB Chat Room for years - but now they've moved to their own platform, mostly as IRC is old and crap. 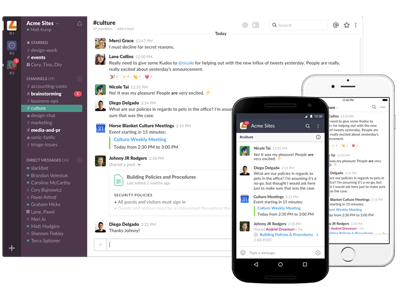 Slack has a great, fully-featured web app that you can use on any computer, native Mac, Linux and Windows apps, and iOS and Android apps. Preferences, conversations, and what you’ve read are synced across devices. Once you have the software installed - join the workspace "nsbradio" and then enter your email and password. To login to the NSB Chat you need to have gotten an invite sent to your email. Search your email for "slack invite" to find it. If you've never got one, sign up above. The NSB Chat sign up process is completely different to the NSB Forum and (defunct) NSB IRC chat and requires a new registration. If you've used Slack before, you need to sign up for the NSB team seperately. Each team within Slack has its own unique login and password. If you've donated and you're not sure what to do - check your emails for an invite from us. Click on that, set a password, and you should be auto-logged in. If you are having trouble accessing our chat room you can search the Slack help center. Want some advance tips? There's an article about Slack tricks. Still need help? You can contact us.